Since briefly touring in support of their album Panorama in 2009, not much has been heard from the band. 32 Leaves is a unique breed of music. Haunting melodies and atmospheric vocals fill the voids between energetic guitar riffs and pounding drum beats. I remember discovering the band in 2006. One of my friends had been completely immersed in listening to their music. I never even gave them a second thought after he’d mentioned them. Another one of my friends let me borrow one of his mix CDs to rip a song. I merely stumbled upon “Your Lies.” I couldn’t figure out why they sounded familiar. Suffice to say, I had been missing out on one of the greatest bands I could have ever listened to. By the time I had gotten into them, two years had passed. 32 Leaves released a five track EP titled Fik’shen in 2003. The first three tracks would later make their way onto their first full-length album Welcome To The Fall in 2005. Beginning with “Sudden Change,” the album chronicles pensive emotions like no other. “Blood On My Hands” starts with a looming bass, and in comes the spidery guitars, crawling into the skin. “Your Lies” pushes the boundaries on the standard use of drums. “Wide Awake” takes the listener on the journey of a person in an insomniatic state, rendered lucid with fear from an inebriated significant other. Descending from an emotional cocaine high, “Overflow” paints a vivid picture of coming down one step at a time. The lead single from the album, “All Is Numb,” follows suit with its predecessor songs in telling vocalist Greg Norris’s narrative. 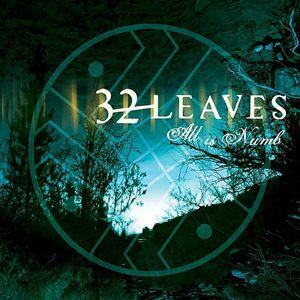 The next two years, 32 Leaves would tour in support of their debut album with Crossfade, Smile Empty Soul, Evans Blue, and similar in sound, 10 Years. They were able to attract Universal Records to sign a deal for their follow-up album Panorama, but it ultimately did not work out. Independently releasing the long-awaited second release, the band toured only minimally. Panorama takes off from where the previous record left off, but with a slightly different approach. Songs were still thought-provoking, but not nearly as brooding and pensively. Guitars took on a different mix, slightly on the higher side, changing the overall sound of Panorama. The single “Way Beyond” was released as a part of the album. Songs like “Human” and “Protocol” show the evolution of 32 Leaves four years later, and stronger than ever. 32 Leaves is a definite must-have for any rocker’s arsenal, especially if they’re fans of 10 Years.